Soak rajma beans for overnight or six hours. Pressure cook it for 3-4 whistles with salt. Heat oil in a pan and add cumin seed. Add onion and fry them well till transulent. Now,add garam masala powder and fry them well with onions. Then add ginger garlic paste and cook for few minutes. Now add half cup of water(used for cooking rajma) to it. It is better to use the water which is used for cooking rajma beans. It will give good taste to the curry. Let the water boil for few minutes and add coriander powder. Mix it well and add tomatoes and green chilli. Add remaining water(used for cooking rajma)and cook it for ten minutes. Add water according to your consistency. Add salt and check the seasoning and add chillipowder if desired. Cover the pan cook it for fifteen minutes and add coriander leaves. 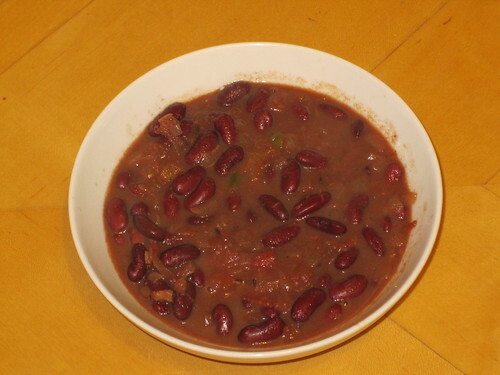 Now, Red kidney beans curry is ready to serve. 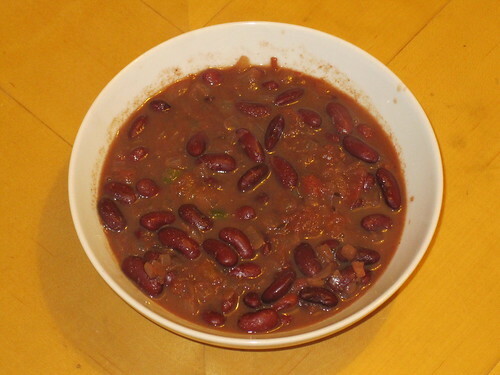 This North Indian Recipe Rajma curry can be served with rotis and with any kind of bread.